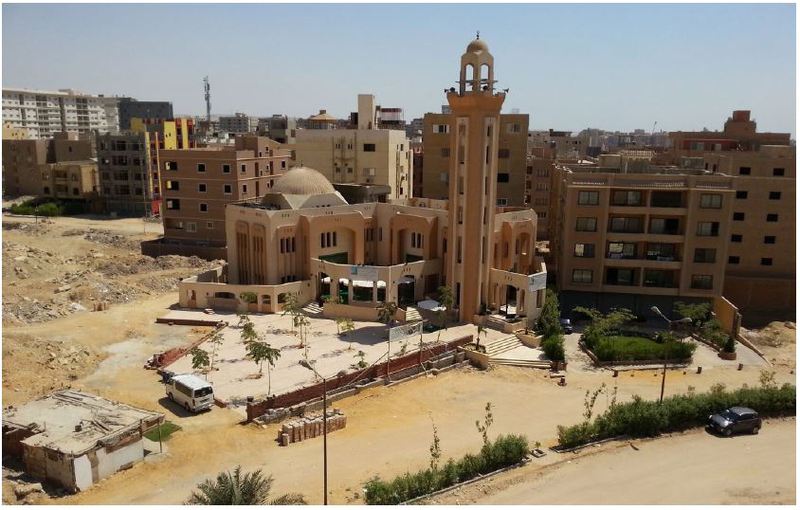 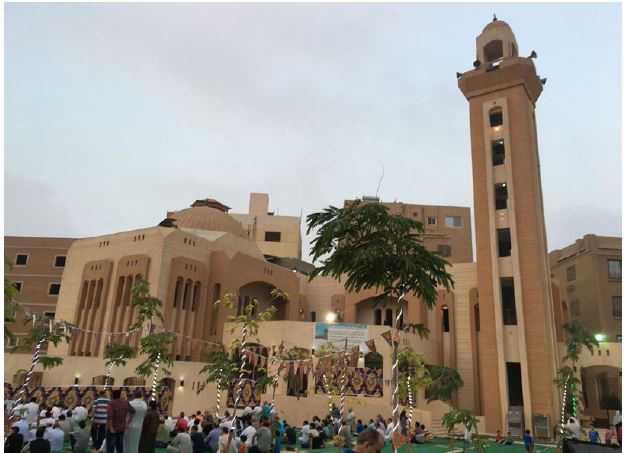 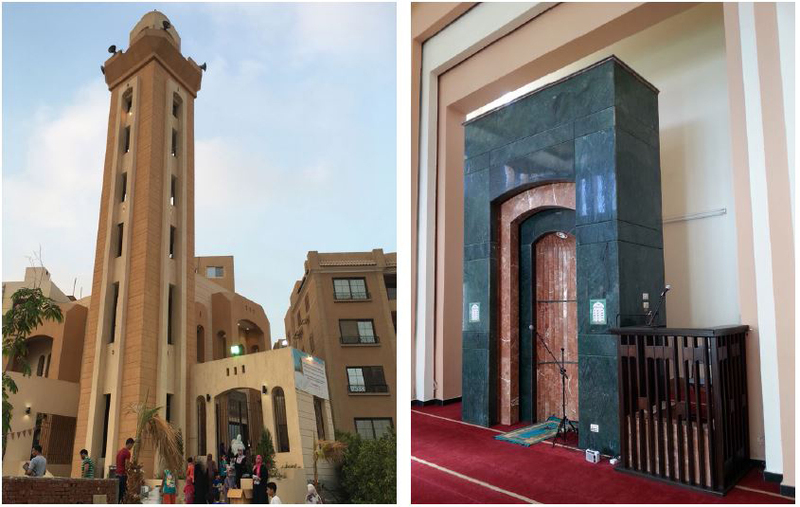 Inaugurated in Ramadan 1437 H (July 2016) and with arround 1000 persons capacity, Manarat Al Islam mosque in Mokattam city has been already turned into operation as a modern contemporary mosque building with light Islamic inspiration. 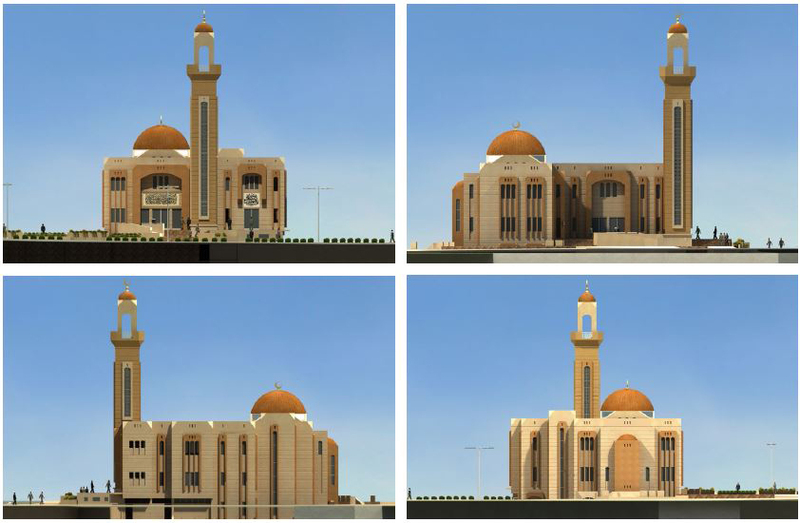 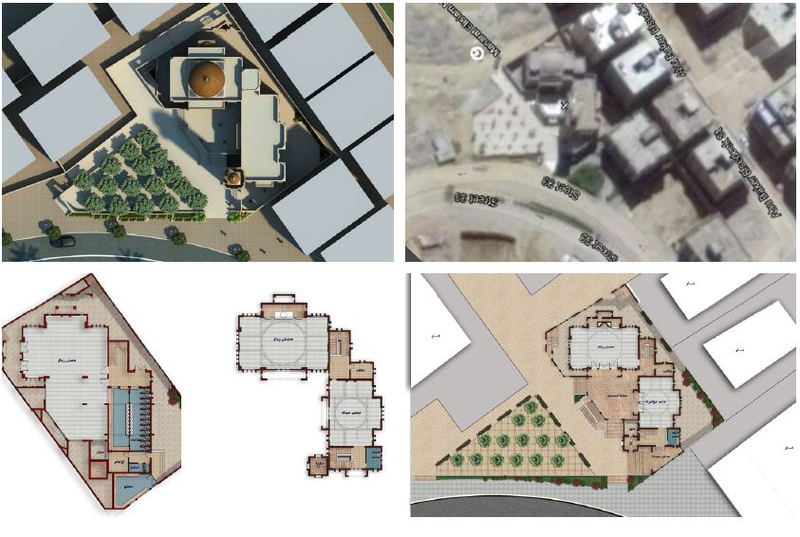 Although the land plot was almost 45 degree inclined to Mecca direction, designer has decided to design the building exactly oriented to Mecca by desgning an L-shaped building with a large open porche that leads to the main two prayer halls, and with a Minaret tower of almost 30 m height. 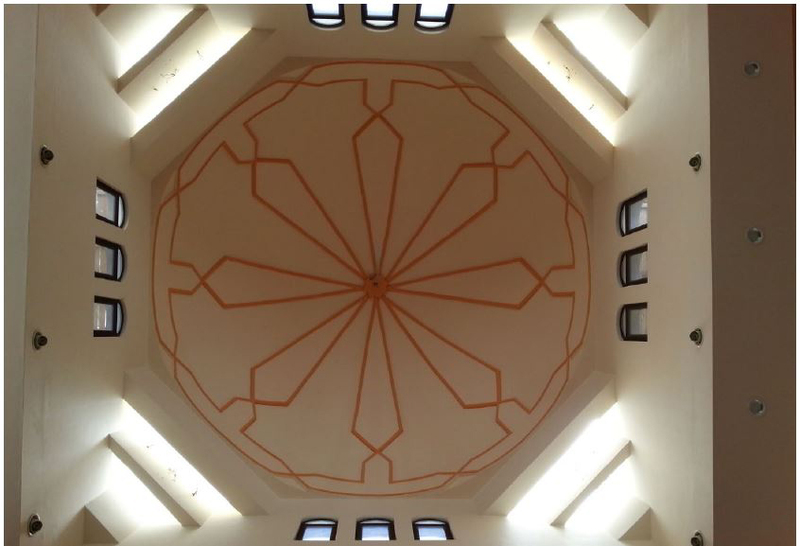 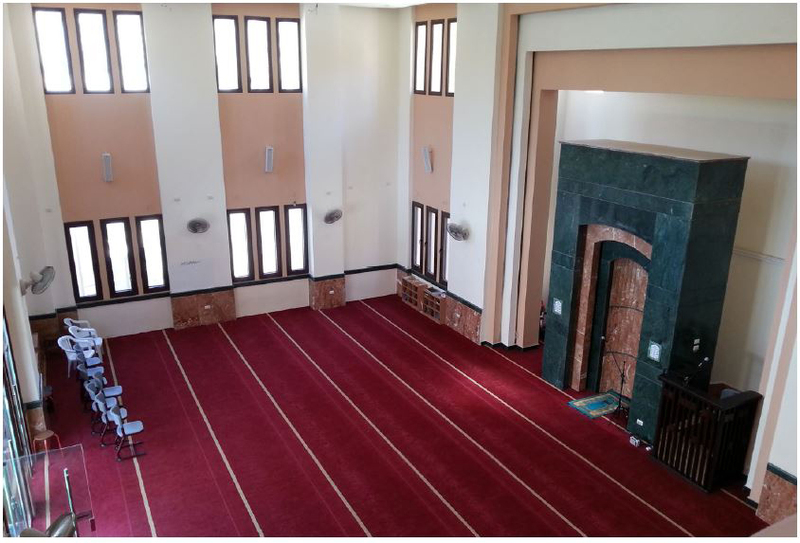 Interior of the mosque is designed modern with straight lines and explicit abstraction for the traditional Mihrab, Mukarnasat and the stage of the Imam (Menbar). 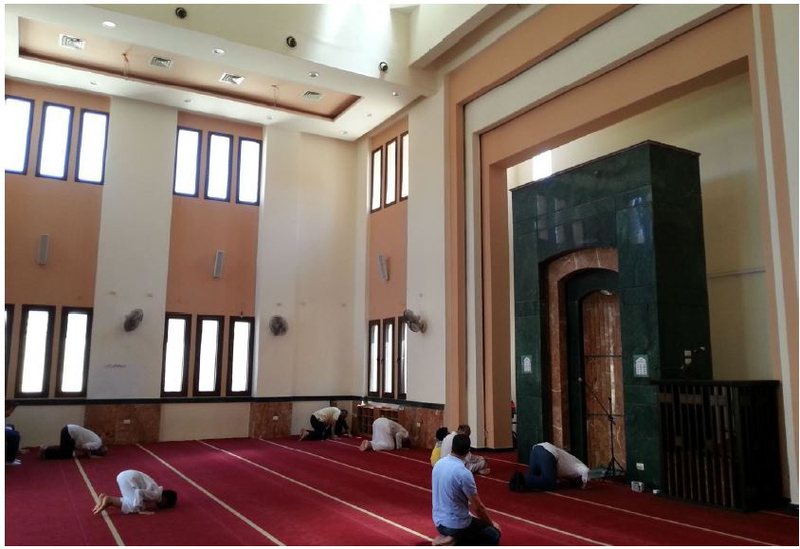 Building consists of two mair praying halls in ground floor in addition to the open porche, public plaza, and ladies entry, in the Imam (Menbar). 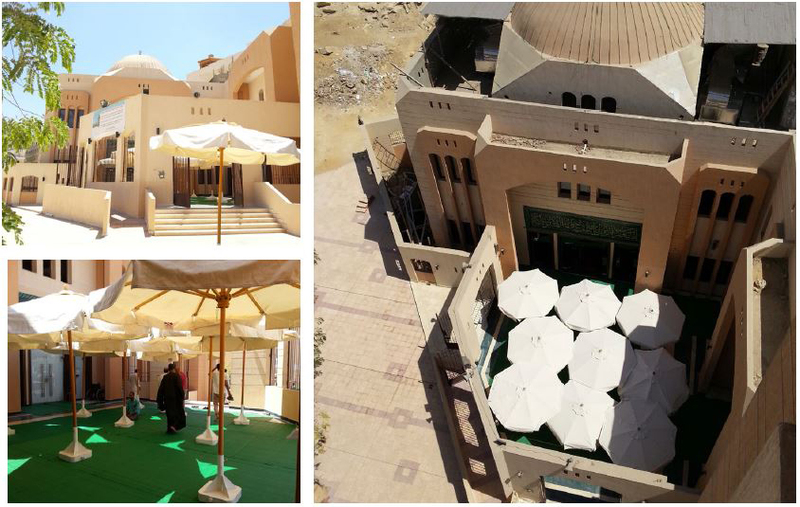 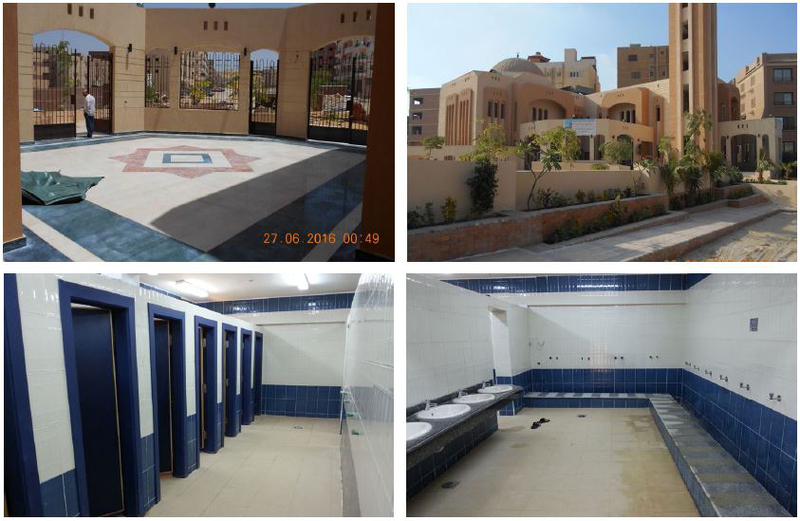 Building consists of two mair praying halls in ground floor in addition to the open porche, public plaza, and ladies entry, in the xtoilets and ablution area. 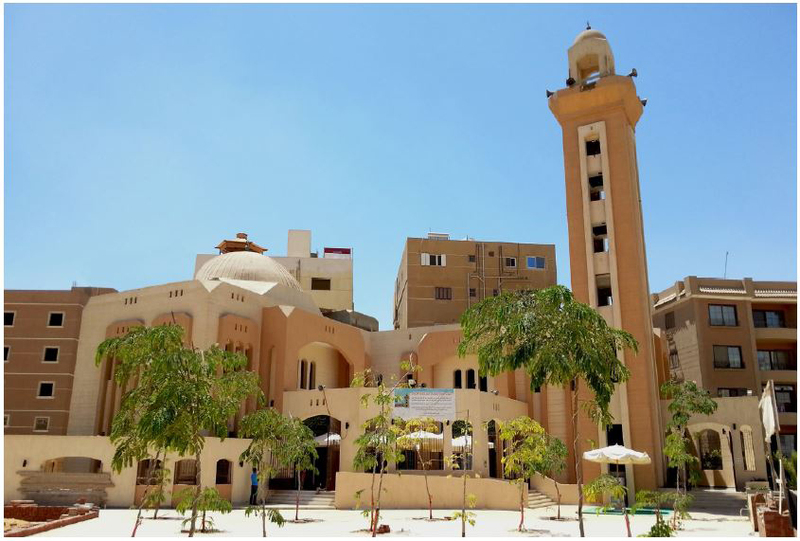 Building is supported with sun breakers and higher windows together with the dome openings that enables natural cross ventilation.